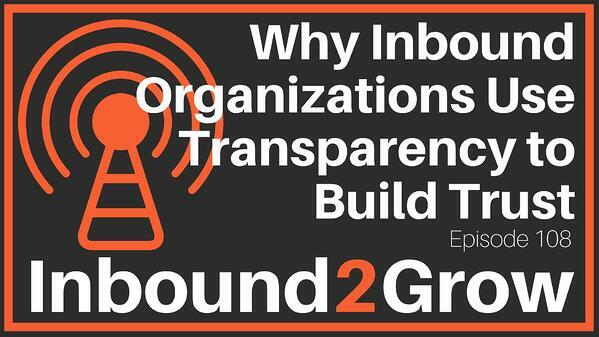 In this episode, Dan and Todd talk about how transparency builds trust. From the steps leadership can take to be more transparent to tools organizations can leverage, this episode is all about building and keeping trust. [3:35] Question: Why is Transparency so Important to Building Trust? Trust is rarely talked about as the foundation for an organization, but trust is essential within an organization. Employees need to trust in the decisions that are made throughout the organization, in the company’s mission, and in the organization as a whole. How trust is built is through transparency. Organizations build trust by being transparent. Transparency creates an understanding of the decisions that are being made and the context in which they are being made. In fact, for many younger people transparency in their workplace is an expectation. For younger employees, a lack of transparency creates immediate distrust. However, transparency is something that needs to be nurtured. Systems need to be put into place that encourage transparency. A large part of this is building systems and demanding the free flow of information. When everyone has access to information, they are able to make decisions and understand, because of the transparency provided by the information, the decisions and moves the organization as a whole is making. Transparency also needs to be a part of the company culture, something that is discussed with systems of feedback to measure how well the organization is doing with transparency and trust. Transparency needs, more than anything, to be spearheaded by the organization's leadership. Systems like an MSPOT are great for building trust and being transparent, but if leadership isn’t transparent then it sends the signal that transparency isn’t really a cornerstone of culture or a priority.